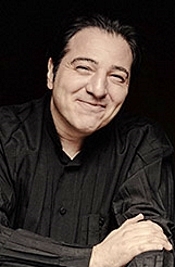 Fazil Say, piano. Warner Classics 0190295821814. According to the Harvard Concise Dictionary of Music, a nocturne is "most often, a romantic character piece for piano with an expressive melody over a broken-chord movement accompaniment." And, of course, the nocturne is usually suggestive of the night. No, the Polish composer and pianist Frederic Chopin (1810-1849) did not invent the form (that honor is commonly accorded to the Irishman John Field, 1782-1837), but Chopin probably did more than anyone else to popularize the form, writing twenty-one nocturnes during his lifetime, three of them published posthumously. In the liner notes, Say tells us that "For the first time I'm recording a Chopin album, because I had a particular idea about playing Chopin. Chopin revolutionised piano music, introducing so many new sounds that are very poetic. His music is poetry. We're facing very difficult times in the world, but if you play this music, you forget everything." And that's the way he plays the nocturnes--poetically--with all that the word implies, including the qualities of imagination, feeling, and lyricism. It also means, however, that he takes a few more liberties with the music than many other Chopin interpreters do. The other complete sets I had on hand for comparison were from Claudio Arrau (Philips), Maurizio Pollini (DG), and Arthur Rubinstein (RCA), all of whom play the music at a steadier pace: Arrau more gently, Pollini more tersely, and Rubinstein more eloquently. Mr. Say is looser with his rubato, his tempos and dynamic contrasts more pronounced compared to Arrau, Pollini, or Rubinstein. Not that there is anything wrong with this approach since a certain degree of idiosyncrasy is always welcome in a performance if it is not exaggerated to the point of distraction. With Say his singular renditions do not draw one's attention away from the music, unless, that is, you are a Chopin devotee who will allow for no such meddling in the composer's work. Then, you may want to stick with old favorites. Anyhow, as I mentioned, Say's interpretations are on the creative side, following a poetic pattern that emphasizes slightly speedier sections than we may be accustomed to, followed by calmer, more leisurely ones, with strong accents throughout. While Say's playing is virtuosic, as goes without saying, he uses that virtuosity to the advantage of the music, not merely to show off. Chopin's nocturnes are exquisite little gems, and Say does his utmost to underline, accent, and shed new light on them. The posthumous nocturnes are especially welcome as one so seldom hears them. 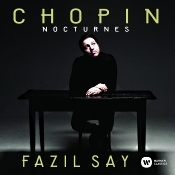 If the light Say sheds is a bit more specific to his particular style of piano playing than others may display, it never takes away from the beauty of Chopin's work. In all, I wouldn't say these are performances that listeners might want as an only set, but they are recordings many listeners might easily want to fit in with older, more-cherished ones. For me, the older, more-cherished set is from Arthur Rubinstein, who seems to do every piece to perfection. Nevertheless, I doubt even Say would claim his set of nocturnes should supplant everything that went before. His set is like a supplement, a new look, and as such it works fine. Producer and engineer Jean-Martial Golaz recorded the music at the Great Hall, Mozarteum Salzburg in March 2016. The miking leaves a lot of room for hall ambience, which gives the music an extra measure of nocturnal mystery without being so reverberant that it wholly clouds the notes. In addition, the detail, definition, and dynamics are a tad on the soft side, which is also OK given the type of material involved and the naturally warm flavor of piano music in general. This is a lush, warm, full recording that complements the music making. Classical, jazz and dance combine when the Music Institute of Chicago collaborates with Dance Chicago to present a family concert, "Duke It Out!," Saturday, December 9 at 10 a.m. and 2 p.m. at Nichols Concert Hall, 1490 Chicago Ave., Evanston, Illinois. 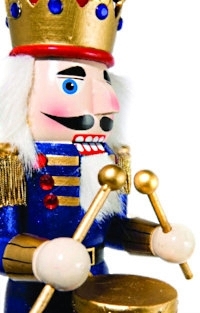 This Nutcracker performance, curated by Dance Chicago, pairs the classical (Tchaikovsky) and jazz (Duke Ellington/Billy Strayhorn) versions of the holiday favorite, performed by Axiom Brass and Music Institute Ensemble-in-Residence Quintet Attacca. Featured ensembles in past years have included Forum Jazz Dance Theatre, Moscow Ballet's children's cast, The Kate Jablonski Statement, Tapman Productions, Visceral Dance Chicago, Wheatland Dance Theater, and other companies and choreographers participating in Dance Chicago. "Duke It Out!" takes place Saturday, December 9 at 10 a.m. and 2 p.m. at Nichols Concert Hall, 1490 Chicago Avenue, Evanston, Illinois. Tickets are $7 general admission, available at musicinst.org/faculty-guest-artist-series or 847.905.1500 ext. 108. For more information, visit musicinst.org. Hear the Guarneri sing as violin legend Elizabeth Blumenstock returns to the Philharmonia Baroque Orchestra November 8-12 to lead a vivacious program, postmarked Venice---music by Venetians and by those who visited the popular city. Hear virtuosic concerti for oboes paired with solo turns for violin, a concerto by Tartini and Vivaldi's seasonal "Autumn" from The Four Seasons performed on Elizabeth's 1660 Andrea Guarneri violin. Buy One Ticket, Get One Free! Witness the future of historically-informed performance as Nicholas McGegan leads the talented student musicians of the Juilliard415 ensemble in a side-by-side concert with the Philharmonia Baroque Chamber Players. Hear works by Telemann, Rameau, Gluck, Avison, and others inspired by the music, culture, and people of Baroque France, Spain, Scotland, the Ottoman Empire, Persia, and China in this musical excursion. Join us for this inspiring program at the Koret Auditorium at the de Young Museum, San Francisco on Sunday, October 29 at 4pm. Come to the museum early to enjoy free access to the dynamic exhibit in Wilsey Court, the Café and Terrace with sculpture garden, and the Hamon Observation Tower on the 9th floor with 360 degree views of the city. Tickets to other museum exhibits can be purchased on site. Tue, Oct 31: Phantoms and Fugues: "It's the Great Pumpkin, Charlie Brown"
Have you been toiling away at your instrument, waiting for your moment to shine? Are you a fan of modern music? Well, then, your opportunity is now, as Texas Public Radio and SOLI Chamber Ensemble team up to present the first annual SOLI Contemporary Music Open Mic Night at Jazz TX. October was a particularly busy month for the Mahler Chamber Orchestra, but also just as fulfilling. After seven concerts in just under two weeks in Tokyo, Kawasaki, Kyoto, Seoul and Beijing as the core of the Lucerne Festival Orchestra, we had two brief days of rest before continuing onwards to Paris for the first part of our extensive European tour with pianist Yuja Wang. This past weekend, we made our debut in the prestigious Fondation Louis Vuitton with two concerts: while Yuja directed us from the piano for works by Beethoven and Chopin, our concertmaster Matthew Truscott led us in performances of Mozart's Overture to Don Giovanni and Stravinsky's Pulcinella Suite. This tradition of performing chamber orchestra repertoire under the leadership of our concertmaster is an especially important one to us, and we are very glad that there will be many more opportunities for us to do so in the upcoming months and years. In a few short days, we reunite with Yuja for the second part of our tour. This time, it will take us to Finland, France, Germany, Liechtenstein and the Netherlands – we would be delighted to see you on one of the stops along the way! French composers in the 20th century reinvented melody through impressionism and neo-classicism. The melodic works of Gabriel Fauré, Jean Cras and Albert Roussel were written when jazz sounds from the United States had crossed the pond. Rounding out this imaginative and evocative program is a jazz riff on the baroque style by living composer Noam Elkies. Hear all the works performed in full. Andrew Manze, violin; Frank de Bruine and Alfredo Bernardini, oboes; Christopher Hogwood, The Academy of Ancient Music. Decca 289 458 129-2 (2-disc set). At last count the number of classical works I had never heard before stood at approximately 932, 876,562.3. 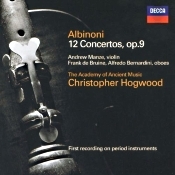 After listening to this two-disc set of Albinoni concertos from Christopher Hogwood and the Academy of Ancient Music, that number is effectively reduced by twelve. I can sleep easier. For those of you who, like me, recognize Albinoni's name largely from the Adagio in G-minor for organ and strings, famously reconstructed by Remo Giazotto but bearing little relationship to Albinoni's actual hand, these concertos from Hogwood may come as a surprise. Albinoni was a contemporary of Vivaldi, but while the latter is a household name, people play and recognize rather little of Albinoni's output nowadays. More's the pity; Albinoni's work shows sparkle and invention. Hearing these concertos for the first time, I cannot pretend to be able to identify them in the future. As a whole, though, they would seem to epitomize the "Age of Reason," the first half of the eighteenth century in which Albinoni wrote them. There is an order and precision about them that is at once calculated and scintillating. Even more so than Vivaldi, who was much more the showman, Albinoni's concertos appear more subdued, more distanced, yet still glistening with vitality. At least that's how Christopher Hogwood, his soloists, and the Academy players present them on period instruments and using historically informed performance practices. Most important, Hogwood takes them at relatively lively but modest tempos, never hurrying the music as so many period groups do. I was most taken by Nos. 2, 7, and 12 for their vivacious spirit, and Nos. 2 and 7 in particular for their lovely slow movements. Decca's sound has its merits, as well. The engineers recorded it at a reasonably moderate distance for a realistic home-listening experience, offering an image that is set back from the speakers and not spread too far across them. Nevertheless, the timbre seems slightly bright and hard to me and somewhat lacking at the bottom end. I would have preferred to hear a more resonant mid bass to justify the ensemble's perceived location in my living room. Still, the performances and sound are of good quality, and for anyone even remotely curious about Baroque music the set makes an intelligent purchase decision. 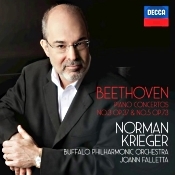 Norman Krieger, piano; Joann Falletta, Buffalo Philharmonic Orchestra. Decca DD41154/481 5583. 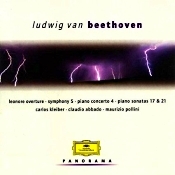 The composer is Beethoven and the music is his Piano Concertos Nos. 3 and 5. No questions there; pretty well-known pieces from one of the most well-known musicians the world has ever known. The conductor is Joann Falletta and the ensemble is the Buffalo Philharmonic. No questions there, either. Ms. Falletta and her orchestra have a boatload of recordings to their credit and a ton of fans. The soloist is pianist Norman Krieger, and there you may have some questions. He's been around for a while and has several albums to his name, but he probably isn't yet a household name. 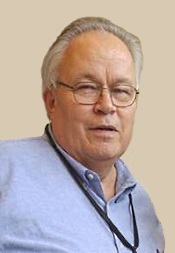 According to Wikipedia, Mr. Krieger is "an American pianist and a professor at the Jacobs School of Music at Indiana University. He is a recipient of numerous prizes, including one from the Paderewski Foundation. 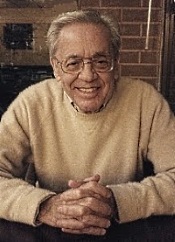 He studied under the guidance of Esther Lipton in Los Angeles. By the age of 15, he obtained a scholarship from the Juilliard School, where he was educated by Adele Marcus. He was Alfred Brendel's and Maria Curcio's student in London, and he obtained an artist's diploma from the New England Conservatory. 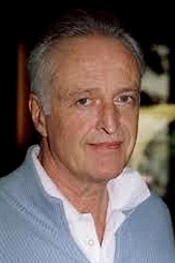 By 2011 he became a professor of music at the USC Thornton. He has collaborated with such musicians as Sheri Greenawald, Livia Sohn, and Jian Wang as well as both Tokyo and Manhattan String Quartets. He also was invited to the Lincoln Center for the Performing Arts and was a frequent participant at the Mostly Mozart Festival. He has recorded two Johannes Brahms concertos, which he has also performed with the Arkansas Symphony Orchestra." So, fair enough. He's a fine pianist, and the music, though overly familiar and thoroughly represented in the catalogue, can always welcome a new interpreter. First up on the program is Beethoven's Piano Concerto No. 3, Op. 37, which he wrote in 1800 and premiered in 1803 with the composer himself as soloist. (Interestingly, when Beethoven first performed it, he had not yet had time to write down the complete score, and most of it he performed from memory.) Anyway, Krieger has the benefit of over two hundred years of tradition behind him, and his performance is in the mainstream of those performing practices. The concerto begins with a lengthy introduction, which Ms. Falletta and the Buffalo Philharmonic play with an easy, breezy charm, turning up the energy just before Mr. Krieger's entrance. That entry has plenty of punch, so you know Krieger is showing his authority and dominance from there on out. In the Largo that follows, Krieger takes things at a comfortable pace and communicates a welcome sense of peace and calm. It is only in the final Allegro that Krieger seems to miss a bit of edge and energy, and the movement loses a little something of its spirited fun. Then we get the Piano Concerto No. 5, the "Emperor" Concerto, which Beethoven dedicated to Archduke Rudolf. No one is quite sure why the concerto's publisher in England, J. B. Cramer, gave it the nickname "Emperor" except as a marketing tool. Maybe to go with the composer's "Eroica" Symphony, or maybe because Napoleon had invaded Beethoven's Vienna during its composition. Who knows? Whatever, Mr. Krieger's interpretation is again in the mainstream of modern performance practice. The opening is big and dramatic, as it should be, helped, no doubt, by Decca's live, close up sound, and the Buffalo Orchestra's glowing support. The first movement loses very little tension along its way, although Krieger takes it at a slightly slower tempo than some other pianists. Then Krieger gives us a lovely Adagio, followed by an appropriately bouncy finale. Throughout the performance of the Fifth Concerto Krieger's playing sounds graceful and flowing, and Ms. Falletta's direction is equally refined, the Buffalo ensemble sounding as good as any in the country. That said, the recording may appeal more to Beethoven collectors than to the general public, who have an enormous catalogue of choices before them. For instance, for a big, traditional production, I still enjoy Ashkenazy and Solti on Decca; for a more intimate, heartfelt rendition, I like Kempf and Leitner on DG; for near-audiophile sound I would choose Serkin and Ozawa on Telarc or FIM; and for probably the best all-around recommendation, Kovocevich and Davis on Philips. Producer and engineer Bernd Gottinger recorded the concertos live at Kleinhans Music Hall, Buffalo, New York in October 2004 and March 2015. Studio recordings of symphony orchestras used to be the norm for all the big record companies until cost factors got in the way, and now the companies all seem to favor live recordings, leaving only the smaller labels to do studio jobs. Oh, well. Decca also retain the applause after each work. I suppose they think the clapping increases the listener's appreciation for the live event. I don't share their enthusiasm. Fortunately, Decca didn't record the orchestra for the Third Concerto too very closely, so there is still a measure of room ambience present, as well as a natural warmth and roundness to the music. The piano, though, sounds very close relative to the orchestra. Still, it sounds OK. With the Fifth Concerto eleven years later, however, the sound of both the orchestra and the piano appears closer, with less room resonance in play. Nevertheless, there is good detail and definition to the proceedings, and I'm sure most listeners will enjoy the clarity and impact of the sound. The Los Angeles Master Chorale's groundbreaking and critically-acclaimed production of Orlando di Lasso's Lagrime di San Pietro (Tears of St. Peter) directed by Peter Sellars will return to Walt Disney Concert Hall, 111 S. Grand Ave., Los Angeles, CA for a special Gala performance on Sunday, March 18, 2018 at 7 PM. The performance will be conducted by Grant Gershon, the Kiki and David Gindler Artistic Director, and feature 21 Master Chorale singers who perform the 75-minute, dramatically-staged work from memory. The performance will be part of a gala evening honoring Los Angeles arts philanthropists Kiki and David Gindler for their leadership, and honoring Sellars for artistic vision. David Gindler is currently Chairman of the Los Angeles Master Chorale Board of Directors, a position that he will step down from on June 30, 2018 after serving two three-year terms. In 2012, the Los Angeles Master Chorale announced a gift of $1 million from the Gindlers. The gift established the Master Chorale's Artistic Director's Circle, a group of dedicated donors who donate $50,000 or more to the organization to support core institutional programming to enable innovative projects. 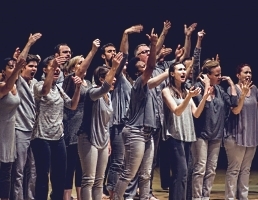 Lagrime is the Los Angeles Master Chorale's first collaboration with the internationally-renowned Sellars and his first staging of an a cappella choral work. A longtime colleague and friend of Gershon, the two discovered a shared passion for Renaissance music and were intrigued — and challenged — by the idea of staging Lagrime, a work that, although widely respected, remains relatively under-performed. Gala table reservations and tickets including the Lagrime performance on Sunday, March 18 and pre- and post-concert festivities are available now from 213-972-4355 and events@lamasterchorale.org. For information and pricing visit lamasterchorale.org/gala. "As One" - Full Production - 3 Cities! 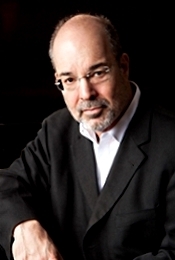 The Young People's Chorus of New York City (YPC), led by Artistic Director and Founder Francisco J. Núñez, debuts at The Metropolitan Museum of Art in the New York premiere of composer Ben Moore and librettist Kelley Rourke's Odyssey: A Youth Opera, an hour-long re-telling of Homer's epic. This new, fully staged and costumed production incorporates video imagery from the Museum's extensive collection—including images of ancient Greek art and artifacts—to create thematic links to the action on stage. The production is directed and choreographed by Eric Sean Fogel, with video and projection design by S. Katy Tucker. Three performances, presented as part of the Museum's MetLiveArts series, will be held at The Grace Rainey Rogers Auditorium on Friday, November 3 at 7:00 p.m. and Saturday, November 4 at 2:00 p.m. and 7:00 p.m.
Tickets start at $50 and are available online at metmuseum.org/odyssey or by phone at 212-570-3949. Tickets are $1 for children ages 5 to 16 with the purchase of one adult ticket. For groups of 15 or more, call 212-570-3750. Classical violinist Augustin Hadelich has been named Musical America's 2018 Instrumentalist of the Year, it was announced today by the pre-eminent performing arts resource. The announcement precedes the December publication of the 2018 Musical America International Directory of the Performing Arts which will pay homage to Augustin and his fellow-award winners in its editorial pages. In his tribute article for the 2018 Musical America Directory, Bruce Hodges praises Augustin's "lyrical, singing style" and "unambiguously emotional style, abetted by the lyrical, singing quality of his "Ex-Kiesewetter" Stradivari from 1723 [that] affords audiences exalted performances from Mozart to the moderns." Francisco J. Núñez, Artistic Director and Founder of the Young People's Chorus of New York City (YPC), was today announced as the recipient of Musical America's Educator of the Year award. Musical America will hold a ceremony for award winners at Carnegie Hall's Weill Terrace Room on Wednesday, December 6, 2017 at 5:00 p.m. Other winners include Andris Nelsons (Artist of the Year), Mason Bates (Composer of the Year), Augustin Hadelich (Instrumentalist of the Year), and Sondra Radvanovsky (Vocalist of the Year). Witness the future of historically-informed performance as Nicholas McGegan leads the talented student musicians of the Juilliard415 ensemble in a side-by-side concert with the Philharmonia Baroque Chamber Players. Hear works by Telemann, Rameau, Gluck, Avison, and others inspired by the music, culture, and people of Baroque France, Spain, Scotland, the Ottoman Empire, Persia and China in this musical excursion. Join us for this inspiring program at the Koret Auditorium at the de Young Museum, San Francisco, CA on Sunday, October 29 at 4pm. Come to the museum early to enjoy free access to the dynamic exhibit in Wilsey Court, the Café and Terrace with sculpture garden, and the Hamon Observation Tower on the 9th floor with 360 degree views of the city. Tickets to other museum exhibits can be purchased on site. PARMA is pleased to be partnering with a diverse slate of soloists and ensembles to select works for a variety of upcoming recording and release projects. There is also a possibility of live performance of recorded works during the performers' regular concert seasons. For each category below, we are working on crafting a full album of music representing the finest in contemporary composition for each instrumentation. The resulting recordings will be released and distributed physically and digitally on a PARMA label imprint and distributed via Naxos. 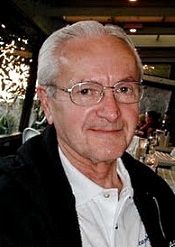 For pieces selected by PARMA and the performers, the composer is responsible for securing funding for all costs associated with recording and production. In return, the music will be professionally recorded and released on a commercial album, the composer will have full creative control during the production process, and the composer will retain all ownership of the master and underlying composition. The Wallace Foundation today released the second installment in its "Building Audiences for Sustainability" (BAS) Stories series that looks at preliminary efforts of performing arts organizations to attract and retain new audiences in ways that also contribute to their financial health. The Seattle Symphony story focuses on the orchestra's efforts to counter a trend in declining ticket sales by reaching new residents in downtown Seattle, home to the orchestra's performance hall. The article, written by Judith Dobrzynski, and video, produced by Stephanie Carter of WNET, are both available at wallacefoundation.org/seattlesymphony. The story shows the Seattle Symphony's use of market research to more effectively target a new downtown audience that is growing at twice the rate of Seattle's overall population. To attract these prospective symphony attendees—dubbed by Seattle as "new urban cultural consumers" or NUCCs—the company developed three new concert formats, all more informal than its signature, more traditional "Masterworks" series. It was unclear at first whether the new concert series would result in increased Masterworks attendance. 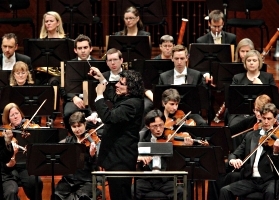 "While they were never intended to be a formal series or viewed as a stepping stone from one concept to the next," Dobrzynski writes of the company's thought process, "there was some initial thinking that they might spur general interest in the symphony and therefore potentially in the core Masterworks concerts." Since the early morning hours of October 9, our community has been struck by devastating fires that have ripped through our neighborhoods in Northern California. Many of us experienced the damage of the fires firsthand, including 50 Sonoma State students, faculty, and staff who lost their homes. Our thoughts are with the many people who are impacted. We are extremely thankful for the efforts made by the first responders, the care displayed by those who volunteered their time and resources, and the dedication shown by countless employees across the CSU system who came here from throughout the state to share their time and skills. Some GMC staff took part in the EOC efforts here on campus. Others volunteered countless hours at evacuation shelters across the region. Thank you for the grit and grace displayed in the midst of such devastation. We have never been more proud to be a part of the Sonoma State family. Across the Sonoma State University Campus, our recovery efforts are all under the banner of #NomaCares. If you or someone you know would like to attend a concert at Sonoma State University's Green Music Center through the month of October, but have been impacted by the fires in any way, please know that money is not our primary concern. We seek to be a haven of peace in a time of deep hurt. All are welcome – pay as you can, come as you are. To access tickets, please use the promo code NomaCares. CMC Faculty and Students will perform on November 3, 2017 at 7pm in a benefit for victims of Hurricane Maria, Mexico earthquakes and North Bay Fires. The concert will take place at the Community Music Center at 544 Capp Street (between 20th and 21st streets) in the Mission District of San Francisco. The concert will feature several CMC performing ensembles including the CMC Cuban Charanga Ensemble directed by Tregar Otton; the Latin Vocal Workshop and Coro de Camara directed by Martha Rodriguez Salazar, CMC Children's Chorus directed by Beth Wilmurt and other performances by Allison Love Joy, CMC's Old Time Music Group featuring Erik Pearson, Tregar Otton and other CMC students and faculty. Leonore Overture; Piano Concerto No. 4; Symphony No. 5; Piano Sonatas 17 & 21; String Quartet "Razumovsky." Carlos Kleiber, Claudio Abbado, Karl Bohm, Maurizio Pollini. DG Panorama 289 469 112-2 (2-disc set). 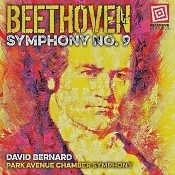 This two-disc set began DG's second series of "Panorama" double albums, featuring some of the company's best older recordings of Beethoven. Like many others in the series, these discs offer some magical and highly persuasive moments at a relatively low price. It remains a bargain and a must-have if you don't already have these performances in your library. The program begins with the Leonore Overture, performed by Claudio Abbado and the Vienna Philharmonic, recorded in 1991. The performance displays commendable energy and drive, but finds flaw in its mediocre, curiously lifeless sound. Following the overture on disc one is the Fourth Piano Concerto with pianist Maurizio Pollini and conductor Karl Bohm with the Vienna Philharmonic. Pollini's playing appears a bit distant but as always his craftsmanship and precision are without peer. The recording, made in 1976, is fuller, warmer, and more ambient than the later Abbado productions and provides a more comfortable listening experience. Disc one concludes with what is perhaps the most famous and most critically acclaimed recording of the last forty or fifty years, Carlos Kleiber's 1975 rendition of the Fifth Symphony, also with the Vienna Philharmonic. The set would be worth its price for this electrifying and emotionally charged performance alone. On a side note, DG also offer this Fifth Symphony in their "Originals" series of single discs, coupled with Kleiber's excellent interpretation of the Seventh Symphony. Disc two begins with a pair of piano sonatas, No. 21 "Waldstein," and No. 17 "The Tempest." Both find pianistic perfection in a 1989 recording by Maurizio Pollini. The lineup concludes with the String Quartet in C major, Op. 59, No. 3 "Razumovsky." Recorded in 1997 by the Emerson String Quartet, it is immediate in sound and evocative in spirit. Given that so many record companies are repackaging older material these days, it's good to see DG doing so with such good taste, creativity, and generosity. What's more, given that DG first issued this set some years ago, one can find it at a ridiculously low price new or almost nothing used. You won't find better value anywhere in the world of recorded music. Mark J. Saliba, orchestration; Anthony Armore, Janácek Philharmonic Orchestra. Navona Records NV6116 (2-disc set). 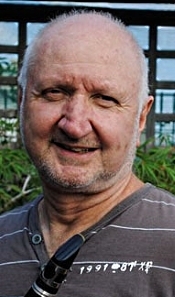 Australian composer and pianist Mark John McEncroe (b. 1947) began his career in music working in his early twenties and thirties as a label manager for EMI Records in Australia and Sweden. It was during this time that he also took up piano, trumpet, flute, and clarinet, mainly as a hobby but later in depth. It wasn't until 2003 that he began studying music theory and composition, and since that time he has composed a number of works and recorded an equal number of albums. While his usual approach (including the current album) has been to write the scores for piano and then collaborate with Mark J. Saliba, who would orchestrate the pieces, he is currently studying orchestration, perhaps to do more of the work himself. 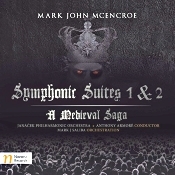 McEncroe began writing the Symphonic Suites 1 & 2: A Medieval Saga in 2007, originally entitling them "A Modern Medieval Tale" (now "Just Another Medieval Tale") and the second "And The Medieval Tale Continues," perhaps hinting that there are more "medieval tales" to come. Even though McEncroe regards the two works as "symphonies with a story to tell," he was probably right in labeling them suites because that's pretty much what they are: two series of program music describing life in medieval times. In this regard they reminded me of Prokofiev's Romeo and Juliet (if you substitute Renaissance for medieval), and, indeed, the composer is currently developing his suites into a ballet. Of course, the suites may also remind some listeners of film music (here, for example, Prokofiev's Alexander Nevsky comes to mind), and perhaps even a score for an Arthurian epic. Understand, I only mean this observation as a compliment as the music is quite graphic. The titles of the various movements may give you a better idea of their content. Each suite is a little over forty minutes, so together they are a bit too long to accommodate on a single CD. But not to worry: Navona Records offers the two-disc set for the price of one, so everyone is happy. Anyway, the section titles tell it all. The music describes a series of dramatic scenes from medieval life, mainly conflicts and turbulences among the ruling classes. There's a lovely lyricism to the slower segments that one can see would lend themselves nicely to ballet. The battle sequences also work well, developing an appropriate intensity. And so it goes. The orchestration is often lush and romantic. The Janácek Philharmonic do a splendid job articulating the various degrees of ardour and periodically feverish passion the score requires. And Maestro Anthony Armore manages to keep it all of one piece, as the score does tend to go off in different directions on occasion. I can't say the music impressed me overmuch with its originality, however, because by the time I finished the first suite, I wasn't quite ready for a sequel. Fortunately, the second suite actually comes across as more innovative, more creative, more tuneful, and more atmospheric than the first. I can't help wondering, then, if it wouldn't have been better for McEncroe to have synthesized a single suite of numbers from the two suites. At about an hour, he might have something important here. In the meantime, we look forward to the upcoming ballet he has planned for the music. The album's producer and engineer, Jaroslav Zouhar, recorded the two suites at The Hall of Culture, Ostrava, Czech Republic in June 2015 and January 2016. There is sometimes a rather bright, edgy upper midrange response in the first of the suites that tends to dominate the music, but if you can get past that, things are fairly neutral. Clarity is OK if a bit steely, as I say. Good depth of field helps with realism, as do strong dynamics. Hall resonance sometimes appears just right and at other times appears a tad too reverberant and tubby. Mid bass is full and round, providing a comforting warmth to the proceedings. Most of the time the sound is natural and lifelike, especially in the second suite, which I not only liked more for its musical content but sounds better recorded to me. The Crypt Sessions Season 2 concludes on November 15, 2017 with American Soprano Alyson Cambridge singing William Bolcom's song cycle From the Diary of Sally Hemings. The eighteen imagined diary entries tell the life story of Thomas Jefferson's slave-turned-mistress, grappling with issues of race, regret, respect and love that are as relevant today as they were back then. Cambridge has been hailed by critics as "radiant, vocally assured, dramatically subtle and compelling, and artistically imaginative" (Washington Post), noted for her "powerful, clear voice" (New York Times) and "revelatory, sensual, smoky readings" (Opera News). The performance will feature a pre-concert reception included in the ticket price, where Magnvm Opvs hosts a tasting of wines specially chosen to suit the music of that evening's concert, and Ward 8 Events provides hors d'oeuvres similarly tailored to the wine and the performance. Crypt Chapel underneath the Church of the Intercession, Harlem, NY. 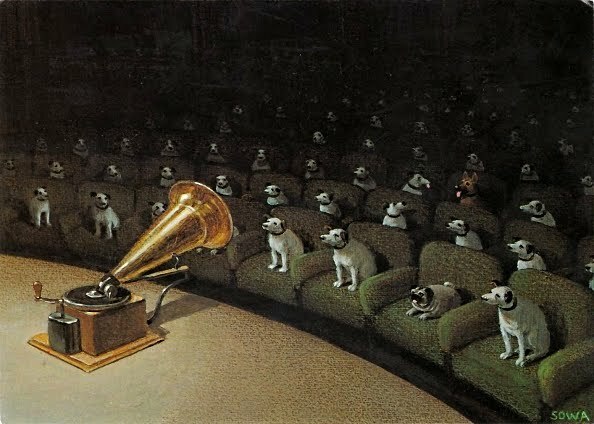 Due to rapid sell-outs and waiting lists, each new concert will be announced immediately after the one preceding it, first to the mailing list, then via The Crypt Sessions Web site (http://deathofclassical.com/) and Facebook page. A democratically run chamber orchestra that performs without a conductor, One Found Sound opens its fifth anniversary season with a program that highlights varying styles of dance music spanning three centuries. Works include Webern's arrangement of Ricercar a 6 from J.S. Bach's The Musical Offering, Serenade for Winds, Op. 44 by Dvorák and Danses Concertantes by Stravinsky. Audiences members are invited to attend in Halloween-inspired costume and stay for the after-show dance party. Friday, October 27, 8:00 p.m. The Music Institute of Chicago is preparing to undertake significant capital restoration of Nichols Concert Hall, a cultural anchor on Chicago's North Shore located at 1490 Chicago Avenue in Evanston, Illinois. The project will enhance and improve the experience for audiences of chamber music, jazz, orchestral concerts, dance, and much more, while preserving the characteristics that qualified the facility for landmark designation by the Evanston Historical Landmark Commission. Renovation work began in 2015 and included a full replacement of the HVAC system, repairs to 12 original entrance doors, and restoration of window lintels. In this second phase of capital improvements, the Music Institute will rebuild the Hall's front steps with a full masonry restoration of the Indiana Limestone Treads matching original materials and aesthetics, replace hand railings, add lighting, and refresh landscaping. Immediate repair of the entry is imperative due to safety concerns, and the aging decline and settlement of the staircase led to deterioration of the original foundation. Approved by the Evanston Historical Landmark Commission, the work is scheduled for completion in late April 2018. Nichols Concert Hall, a Classical Revival-style structure, was designed in 1912 by renowned Chicago architect Solon S. Beman as First Church of Christ, Scientist. The Music Institute acquired the building and transformed the upper level into an acoustically perfect, 550-seat performance space that is home to a fully restored 1914 E.M. Skinner pipe organ. The Music Institute converted the lower level into Evanston's Community Music School campus. Nichols Concert Hall opened in 2003 and received the Richard H. Driehaus Award for best adaptive use by the Landmarks Preservation Council of Illinois. For more information, visit musicinst.org. The Chelsea Symphony, featured in the hit Amazon show Mozart in the Jungle, announces the appointment of conductor Nell Flanders to their conducting staff. Ms. Flanders takes the podium on October 27 and 28 in her first official concert as TCS conductor, joining the ranks with Matthew Aubin, Reuben Blundell, and Mark Seto in leading concerts throughout the 2017/18 season. Ms. Flanders was chosen from a field of four finalists after a year-long selection process with dozens of candidates. Every concert by The Chelsea Symphony features soloists, composers, and conductors taken from the ensemble. This is a collective of New York City professional freelancers coming together to create meaningful, self-governed concerts--a unique model in the classical world. Nell Flanders' conducting credits include performances with the Buffalo Philharmonic Orchestra, The Chelsea Symphony, Mannes Orchestra at Alice Tully Hall, the Peabody Symphony Orchestra, and the Riverside Orchestra. She served as a cover conductor for JoAnn Falletta and the Buffalo Philharmonic during the 2014-15 season and was the assistant conductor at Peabody Opera Theater during 2016-17. An enthusiastic proponent of contemporary music, Ms. Flanders has conducted many orchestral premieres with groups such as Mannes American Composers Ensemble, The Secret Opera Company, Peabody's Now Hear This, and The Chelsea Symphony. In May 2016 she conducted the premiere of Jochem Le Cointre's opera Steppenwolf. Lucy Moses School joins Park Avenue Chamber Orchestra for "Instrument Zoo"
The Park Avenue Chamber Symphony partners with the Lucy Moses School to bring an "Instrument Zoo" to its special family InsideOut Halloween offering, October 28th. The afternoon family event that precedes each Park Avenue Chamber Symphony (PACS) evening concert is always a special event. This fall, with the addition of an "Instrument Zoo" led by New York's largest community music school, the InsideOut family Halloween event on October 28th at 2pm will offer an unforgettable afternoon for children. The "Instrument Zoo" will feature members of the Lucy Moses School at Kaufman Music Center, who will join the PACS musicians and Music Director David Bernard at the DiMenna Center for Classical Music, to offer a menagerie of string and wind instruments for children to touch and get to know (but probably best not to attempt to feed them). It will round off a thrilling afternoon. The afternoon event will begin with a performance at 2pm featuring Saint-Saens's hugely entertaining Danse Macabre, alongside excerpts from Berlioz's ghoulsome Symphonie Fantastique. The audience will experience the musical ghouls up close, as they will be seated amongst the musicians throughout the orchestra, in Bernard's popular and vivid InsideOut concert format. Bernard will explain and talk about each musical piece. All events will take place at the DiMenna Center for Classical Music, 450 W 37th St, New York City, NY. It is with a heavy heart that I write to you as our Green Music Center community experiences immense loss from the fires in the North Bay, Sonoma County, CA. Our thoughts are with the many people who are impacted and those who are serving the community at this time. Sonoma State University has canceled all classes and university business until Monday, October 16, and the Green Music Center has followed suit by canceling the performances scheduled this weekend. We aim to resume normal business hours on Monday. At that point, please reach out with any questions or concerns and our team will do our best to meet each request in a timely and efficient matter. The Sonoma State University Box Office can be reached at 1.866.955.6040 or via e-mail at tickets@sonoma.edu. In the coming weeks, we hope for the Green Music Center to be a place for us to gather and come together as a community in support of each other. We seek to be a beacon of hope, connection, and restoration, and to find healing through the power of music as soon as it is safe for us to do so. New Century continues its 2017-2018 season November 9-12 with debut performances by Avery Fisher Career Grant recipient, American violinist Benjamin Beilman. Hailed by the Washington Post as "mightily impressive," Beilman will lead New Century in a varied program that spans the ages ranging from Biber's Battaglia to Stravinsky's Concerto in Re and Andrew Norman's virtuoso Gran Turissmo. Beilman will also take center stage for J.S. Bach's Violin Concerto in E major BWV 1042 with Mahler's arrangement of Beethoven's Quartet in F minor Op. 95 rounding out the program. Praised by The New York Times for his "handsome technique, burnished sound, and quiet confidence," 27-year old Benjamin Beilman has fast become a sought-after artist across the world appearing with orchestras such as the San Francisco Symphony, Philadelphia Orchestra, London Philharmonic and Frankfurt Radio Symphony. In addition to receiving a 2012 Avery Fisher Career Grant, Beilman has received numerous accolades including First Prize at the Young Concert Artists International Auditions and First Prize in the Montréal International Musical Competition with The Strad praising his performance of the Sibelius Violin Concerto in the latter as "pure poetry." A favorite among Bay Area audiences, Beilman made his San Francisco Symphony debut in July 2014 performing Mendelssohn's Violin Concerto in E minor, and has also appeared with Music@Menlo and San Francisco Performances. Have you been toiling away at your instrument, waiting for your moment to shine? Are you a fan of modern music? Well then, your opportunity is now, as Texas Public Radio and SOLI Chamber Ensemble team up to present the first annual SOLI Contemporary Music Open Mic Night at Jazz TX. New Century Chamber Orchestra Presents "Benjamin Beilman Leads"
New Century Chamber Orchestra presents upcoming performances of "Benjamin Beilman Leads" November 9 through 12, featuring Benjamin Beilman as Guest Concertmaster and soloist. Four performances will be given around the SF Bay Area in Berkeley, San Francisco, Palo Alto, and San Rafael. New Century continues its 2017-2018 season with debut performances by Avery Fisher Career Grant recipient, and American violinist Benjamin Beilman with a varied program that spans the ages. Works are by Biber, J.S Bach, Beethoven, Stravinsky and Norman. With YPC's performance in Lincoln Center's White Light Festival on October 20 & 21, and the Met Museum's premiere of "Odyssey: A Youth Opera" on November 3 & 4, Young People's Chorus of New York City is earning a reputation as "the chorus that never sleeps." From daily rehearsals to film crews, costume fittings and puppet repair, YPC choristers have been fully engaged in the entire art-making process. U.S. Premiere of "Dancing Voices" at Lincoln Center's White Light Festival with Meredith Monk and YPC, October 20 - 21. YPC in NYC Premiere of Ben Moore's "Odyssey," an opera at the Met Museum, November 3 - 4. The Chelsea Symphony, featured in the hit Amazon show Mozart in the Jungle, announces the continuation of its 2017/18 season, entitled "Sea Change," with concerts on October 27 and 28 featuring Ludwig van Beethoven's Symphony No. 6 ("Pastoral"), View of Life, a World Premiere by composer Aaron Dai, Camille Saint-Saëns's Cello Concerto No. 1, featuring cellist Alicia Furey (10/27 only), Ludwig van Beethoven's Romance No. 2, featuring violinist Jessica Lightfoot (10/28 only), and Carl Maria von Weber's Bassoon Concerto, featuring bassoonist Anna Keelin Fitzgerald (10/28 only). The Chelsea Symphony's 2017/18 season features orchestral works with a focus on nature and environmental stewardship. Every concert by The Chelsea Symphony features soloists, composers, and conductors taken from the ensemble. This is a collective of New York City professional freelancers coming together to create meaningful, self-governed concerts—a unique model in the classical world. 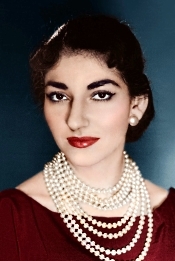 The American operatic soprano Maria Callas (1923-1977) may still be the most recognizable female name in opera, almost a quarter century after her death. Although she was quite versatile, singing in French, German, and Italian, she is known today primarily for her French and Italian roles, which are well represented on this collection of her art. She was also known for her volatile disposition and the notoriety of her lifestyle, but that's another story. The questions is, Was she really the greatest female soprano of all time? One can only say, maybe. Personal taste dictates the answer. Certainly, one could make the case that Callas should come somewhere near the top of any list of great singers. And another thing seems clear: she probably did not possess the most dynamic, lilting, precise, or beautiful voice of all time. Those titles might go to other contenders. What is equally clear, however, is that no other soprano in modern history interpreted a song quite like her. By the time she retired, she had performed over forty separate roles and had recorded something like twenty operas. The booklet insert provides a good example of her singing style. When a reporter once asked her after a film appearance, "So you have decided to start out on a career as an actress," she replied that she thought she had always been one. Yes, above all she was an actress, a dramatic singer who could transform herself into the character she was performing and convey the character's emotions through the words. She was not simply singing; she was being. The seventeen arias on this recital disc, among the best she ever recorded, are good examples of her ability to transcend the mere lyrics of a song and create a genuine persona. Listen to the first item, Bellini's "Casta Diva" from Norma, and you'll see what I mean. There follow songs from Catalani, Rossini, Donizetti, Puccini and Verdi, of course, Saint-Saens and Bizet. Trust me in saying you will recognize all of them; they are standard repertoire fare like "Un bel di vedremo," "Si, Mi chiamano Mimi," "O mio babbino caro," and the like. Each is exquisite; each a gem. EMI's sound varies from mediocre to above average in these remasters, now available from Warner Classics. Remember, these recordings were taken from the mid Fifties on. Most are in monaural, but like "Vissi d 'arte" from Tosca, it is quite good mono sound. My only complaint is that the EMI engineers occasionally seem to have applied a little too much noise reduction, softening the high end more than necessary. Most of the tracks evidence a degree of hardness or roughness, but it is not extreme, and if you love music you won't even notice. Strongly recommended. Kristin Sampson, soprano; Edith Dowd, alto; Cameron Schutza, tenor; Brian Kontes, bass; New Amsterdam Singers; West Point Glee Club; Young New Yorkers' Chorus. David Bernard, Park Avenue Chamber Symphony. Recursive Classics RC2058306. If you're like me (heaven forbid), you may view Beethoven's Symphony No. 9 as the epitome of big-scale classical music. So it might give you some slight pause to consider the symphony played by a chamber orchestra. You might have even more doubts to learn that the Park Avenue Chamber Symphony comprises mainly players who do other things for a living (hedge-fund managers, philanthropists, CEO's, UN officials, and so on). They're not exactly amateurs, but they're not full-time, paid musicians, either. Fortunately, one listen to their playing should dispel any lingering skepticism. Everyone involved with this current production deserves praise. Not that the Park Avenue Chamber Symphony is a particularly small ensemble. It just isn't the size of a full symphony orchestra, and no matter how well they play, you won't mistake them for the Concertgebouw Orchestra or the Berlin Philharmonic. In fact, in the final movement the solo and choral forces (Kristin Sampson, soprano; Edith Dowd, alto; Cameron Schutza, tenor; Brian Kontes, bass; New Amsterdam Singers, the West Point Glee Club, and the Young New Yorkers' Chorus) must outnumber the orchestral players two to one. Nevertheless, the New Yorkers play with enthusiasm, and Maestro David Bernard leads them with gusto. Did I say "gusto"? I mean, Bernard really has them zipping along. Remember back in the early days of CD, we heard that Philips and Sony, the cofounders of the format, decided upon seventy-five minutes as the limit for content (although some CD's now contain a little over eighty minutes) because seventy-five minutes would accommodate the average length for the Beethoven Ninth Symphony? Well, Bernard's performance leaves plenty of room on the disc to spare. I compared his timings for all four movements to Roger Norrington's historically informed performance, which uses Beethoven's own metronome marks (for better or for worse, depending on your attitude toward the reliability of the markings), and Bernard's sixty-five minute mark is almost as fast. So, yes, this is a zippy reading. The first thing one notices about the performance is that the fairly small size of the ensemble provides a cozier, more intimate style than many of us may be used to. I still miss the big-scale approach, but the inner detail this one provides compensates in part. Anyway, the first two (orchestral) movements roll along with a zesty fervor, thanks largely to Maestro Bernard's obvious love of the subject matter and his keen desire to communicate that love to his listeners. The orchestra, amateur or not, respond with equal ardor. They may not produce the lush, rich tones of a bigger group, but they make up for it with their eager (and accurate) musicianship. And the third-movement Adagio is as lyrical and sensitive as you'll find. Which brings us to the concluding choral movement (the familiar "Ode to Joy"), the moment everybody's been waiting for. Here, the orchestra takes a backseat to the various soloists and choruses participating. In fact, the orchestra practically gets overwhelmed. Moreover, Maestro Bernard lessens the speeds a tad, giving the music a little more chance to breathe, yet the overall impression remains one of intense drive. It's an exceptionally energetic and dramatic interpretation, with the soloists and choruses contributing to favorable effect. Maybe not everyone will take a shine to Bernard's thrill-a-minute rendering of so well-loved and well-travelled a piece of music, but there's no doubt his is an entertaining ride. You may even find yourself coming back to it more often than you imagined. Engineers Joseph Patrych and Antonio Oliart recorded the symphony at the DiMenna Center, New York City in November 2016. You'll find a fine sense of orchestral depth, a modest hall bloom, and a relatively wide dynamic range involved, which greatly enhance the realism of the production. Voices elicit a clear, vibrant response, if a bit close. Although stage width is somewhat limited, it has little impact on the recording's clarity. There is also some degree of upper midrange brightness and edge, particularly noticeable in the vocals, but it's not enough of a deal killer to be entirely distracting. While the sound may not be absolutely audiophile, it's quite good and complements the orchestra especially well. Following a nationwide call for submissions, the Nashville Symphony has selected four promising young composers to participate in the second edition of its Composer Lab and Workshop, an initiative designed to cultivate the next generation of great American composers. The four composers – Emily Cooley, James Diaz, Liliya Ugay, and Shen Yiwen – will be in Nashville on November 13-15 to take part in the comprehensive program, led by Symphony music director Giancarlo Guerrero and Pulitzer Prize-winning composer Aaron Jay Kernis, during which they will showcase their music and learn about every facet of working with a major American orchestra. "This program is an important part of the Symphony's long-standing commitment to promote the creation of new, forward-thinking American music," said Guerrero. "Each of these gifted artists represents the vibrancy and diversity of our country today, and each is helping to shape the sound of orchestral music in the 21st century. We're so thrilled to welcome them to Nashville and to help them take the next step in their careers — and we invite the community to hear what we believe will be the classics of the future." Philharmonia Baroque Orchestra & Chorale will present a vivacious program of violin works from --- and inspired by --- Baroque Venice this November. PBO's long-time co-concertmaster and violinist Elizabeth Blumenstock will lead the Orchestra in a program called "Vivaldi in Venice" that she designed to spotlight the virtuosity of her fellow Orchestra members. Baroque era Venice was the hub of violin-making and the city's musicians and composers wrote a profusion of music at the time. Some of that work is rarely performed today --- the program includes a violin concerto by one of Blumenstock's favorite composers, Giuseppe Tartini, whom she has helped champion in the last decade. Blumenstock will open with Vivaldi's masterpiece "l'Autunno" (Autumn) from Le Quattro Stagioni (The Four Seasons) and will also showcase works by Locatelli, Veracini, Campra, Pisendel and Handel. 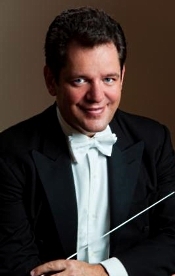 In addition, oboist Marc Schachman will perform the virtuosic Albinoni Concerto in D minor. The Music Institute of Chicago announces the 30th anniversary season of its annual Chicago Duo Piano Festival (CDPF) beginning this fall with a concert program Friday, October 27 at Nichols Concert Hall, 1490 Chicago Avenue, Evanston, Illinois and continuing with a year of performances and a youth duo piano competition. Called a "duo piano mecca" by Pioneer Press, the Chicago Duo Piano Festival was founded in 1988 by Music Institute of Chicago faculty members and piano duo in residence Claire Aebersold and Ralph Neiweem. Its mission is to foster a deeper interest in the repertoire, performance, and teaching of music for piano, four hands and two pianos, in a fun and supportive atmosphere. The festival offers coaching, master classes, concerts with special guest artists, and student recitals for students age 12 through adult. The Chicago Gargoyle Brass and Organ Ensemble and The Oriana Singers chamber choir, in a first-time collaboration, will perform a centuries-spanning concert on Sunday, October 22, in Wheaton, Illinois, featuring German Renaissance a cappella music from the Roman Catholic tradition and instrumental works by Baroque composer Heinrich Schütz, Felix Mendelssohn, and others, based on famous melodies by Protestant Reformation leader and composer Martin Luther. Free and open to the public, the one-time-only "Echoes of Wittenberg: Music of a Momentous Era" will take place at 5 p.m. at St. Michael Catholic Church, 310 S. Wheaton Ave, Wheaton, IL. The concert is presented by St. Michael church. No tickets or reservations are required. Donations are welcome. For information, call (630) 665-2250 or visit www.stmichaelcommunity.org. One Found Sound, a chamber orchestra that performs without a conductor, opens its fifth anniversary season on Friday, October 27 at Monument SF with a program titled "Monster Masquerade." The program features three diverse works that highlight varying styles of dance music spanning three centuries including Webern's arrangement of Ricercar a 6 from J.S. Bach's The Musical Offering, Serenade for Winds, Op. 44 by Dvorák and Danses Concertantes by Stravinsky. Dedicated to presenting classical music in an intimate and informal setting, One Found Sound kicks-off its anniversary celebrations with a Halloween-inspired "masquerade ball" and invites audiences to attend the performance in full costume. Concluding the evening with a twist, One Found Sound will convert the venue into a post-concert dance party to feature a selection of music by Michael Jackson and other popular artists. Founded in 2013 by five graduates of the San Francisco Conservatory of Music, One Found Sound is a democratically run orchestra that rehearses and performs exclusively without a conductor. Artistic decisions are made by the collective participation of each member, with leadership positions chosen on a rotating basis. Now celebrating its fifth full season, the organization has presented more than 20 concerts in unique, accessible venues such as Salle Pianos, Monument SF and Heron Arts with an emphasis on showcasing the creativity of each individual musician. Regular members of the ensemble perform professionally in the Bay Area with a variety of orchestras, ensembles and chamber groups, with each member sharing the united goal of changing the way that audiences experience classical music. Subscriptions to One Found Sound's 2017-2018 fifth anniversary season are on sale now. VIP passes to all three regular season concerts can be purchased online at the discounted price of $121.50 through http://www.onefoundsound.org. Single tickets to "Monster Masquerade" and all regular season concerts range in price from $25 to $45 and are available through http://www.onefoundsound.org. Annual gala tickets are available now for an early bird discounted price ranging from $45 to $100 until November 4, 2017. Full price tickets will then range in price from $50 to $125. Tickets can be purchased at http://www.onefoundsound.org. The Seattle Symphony announced today that Danish conductor Thomas Dausgaard will become the orchestra's next Music Director, beginning in the 2019–2020 season. Dausgaard will succeed current Music Director Ludovic Morlot, whose tenure concludes after the 2018–2019 season. Dausgaard has served as the Seattle Symphony's Principal Guest Conductor since 2014. 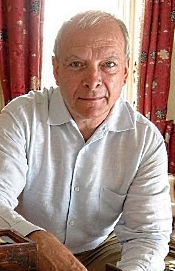 Additionally, he is Chief Conductor of the BBC Scottish Symphony Orchestra, Chief Conductor of the Swedish Chamber Orchestra (through 2019), Honorary Conductor of the Orchestra della Toscana, and Honorary Conductor of the Danish National Symphony, having previously served as its Principal Conductor from 2004–11. Musica Viva NY opens its 40th anniversary celebration season, with a concert entitled "The Wheel and the Sphere" on Sunday, November 12 at 5:00 p.m. at All Souls Church on the Upper East Side, NYC. The performance features Carl Orff's joyful masterpiece, Carmina Burana—his most well-known work—featuring the Musica Viva NY choir, joined by the Allen-Stevenson School Chorus, Sandbox Percussion, sopranos Shabnam Abedi and Devony Smith, tenor Shawn Bartels, baritone Alex Lawrence, and pianists Margaret Kampmeier and Nelson Padgett. Also on the program is the New York premiere of Guillaume Connesson's Sphaera, based on a Latin poem by 17th century writer Richard Crashaw. Tickets, priced at $40, are available by visiting http://musicaviva.org/tickets/ or at the door. ROCO (River Oaks Chamber Orchestra, Houston, Texas) continues its thirteenth season, themed "Cultivate Curiosity," with a varied series of November performances, including a new commission in honor of JFK's 100th birthday this year, a delicious evening of music paired with chocolate, as well as ROCO's grateful tribute to the former owners of Rienzi. Project 305, a nearly yearlong project to crowdsource a symphony and accompanying film about Miami, FL by its residents, will culminate in a free concert celebrating the diversity of Miami-Dade County and the power of music on Saturday, October 21, 7:30 PM at the New World Center (500 17th Street). The project is a collaboration of the New World Symphony, America's Orchestral Academy (NWS), Knight Foundation, the MIT Media Lab, and Miami-Dade County. The crowdsourced work, composed by Ted Hearne with an accompanying film by Jonathan David Kane, is titled "Miami in Movements." The title not only alludes to the work's six-movement structure, but also pays homage to the variety of cultures and influences that have moved through and contributed to Miami-Dade County's identity over time. "Miami in Movements" will be conducted by NWS Artistic Director Michael Tilson Thomas and performed by the New World Symphony to close the concert, immediately preceded by George Gershwin's Cuban Overture. The first half of the concert will feature performances by Miami-based musical ensembles, including Picadillo – with vocalists Sol Ruiz and Rey Rodríguez – and the Barry Bucaneiros, a Brazilian drumming ensemble from Barry University. The concert will be streamed via Facebook Live and projected onto the 7,000-square foot front wall of the New World Center as a WALLCAST concert, presented by Citi, for audiences in the adjacent SoundScape Park. Audiences online and at the Park will not only experience the new work's accompanying film, but will also see live video from the concert hall integrated throughout. To watch the performance on Facebook Live, follow the New World Symphony on Facebook at facebook.com/NewWorldSymphony. When the Harlem Quartet stepped onto the stage of the Bram Goldsmith Theater in 2016 for its debut at the Wallis Annenberg Center for the Performing Arts (The Wallis) in Beverly Hills, it brought down the house. Praised for its "panache" by The New York Times, the acclaimed quartet is "bringing a new attitude to classical music, one that is fresh, bracing and intelligent," says the Cincinnati Enquirer. That new attitude will be on full display at The Wallis when they return with Harlem Quartet: Game-Changers on Sunday, October 15 at 7:30pm. Harlem Quartet's members include violinists Ilmar Gavilan and Melissa White, violist Jaime Amador and cellist Felix Umansky. The evening program explores game-changing works from the 19th, 20th and 21st centuries—including Claude Debussy, Dizzy Gillespie and Gabriela Lena Frank, as well as a work by Gavilan's father Guido Gavilan, one of Cuba's most celebrated composers and conductors. Single tickets are now available for $25 – $75. For more information or to purchase tickets, visit TheWallis.org/HQ, call 310.746.4000, or stop by in person at the Wallis Annenberg Center for the Performing Arts Ticket Services located at 9390 N. Santa Monica Blvd., Beverly Hills, CA 90210. Ticket prices subject to change. Also, Triple Concerto; Orchestral Suites; others. 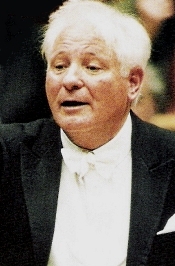 Helmut Muller-Bruhl, Cologne Chamber Orchestra. Naxos 8.554607, 8.554608, and 8.554609. I have to admit that I have developed a fondness over the past few decades for baroque music played on period instruments. 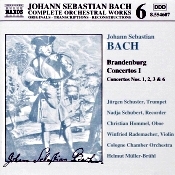 However, there is always room for performances of Bach's Brandenburg Concertos and Orchestral Overtures (Suites) on modern instruments, too, as they are rendered here on three discs from Naxos. Helmut Muller-Bruhl and the Cologne Chamber Orchestra observe some of the performing practices of the past (the orchestra used to play with period instruments but here use modern ones) with a fluent, contemporary sound. Now, if I could have said the same for the interpretations, these discs might have been sure bets. Bach's six Brandenburgs are notable not only for the attractiveness of their tunes but for their variety of instrumentation and diversity of style. Muller-Bruhl's tempos for the First Brandenburg Concerto are quick but not breathless. The piece flows nicely, if somewhat blandly, along. Be that as it may, I found the First and Sixth of his Concerto performances the most uninteresting of the lot, no matter how well the Cologne Chamber Orchestra plays. Then, Muller-Bruhl dashes through Nos. 2 and 3, probably the most popular of the set, about as quickly as I have ever heard. They are almost exhausting, in fact. One could charitably say they are effervescent, and, in fact, they may surely appeal to some listeners. But not to me because they seem to lack elegance or any discernable style. Nos. 4 and 5 come off best of all. After the hectic pace of the previous two works, Muller-Bruhl finally allows his players a few minutes to relax and enjoy themselves, and we're all the better for it. Naxos pretty well fills out the three discs they sent for review, each sold separately: Disc one contains the Brandenburgs Nos. 1, 2, 3 and 6. Disc two contains Brandenburgs Nos. 4 and 5, plus the Triple Concerto in A minor for flute, violin, and harpsichord and the Concerto in F major for two recorders, harpsichord, and strings. Disc three contains the four Orchestral Suites. Of the latter, we have a different story. Where Muller-Bruhl's Brandenburgs appear somewhat controversial, and thus at least partially entertaining in their way, the Suites seem respectful in the extreme, sometimes solemnly so. They are as straightforward and straight-arrow as one could find, which may or may not be what every listener is after. For only a few dollars more, Neville Marriner's mid-priced set of Suites on Decca offers more spirit and vitality. Sonically, all three Naxos discs sound pretty much alike. The sonics are clear, clean, and well balanced throughout the midrange and treble. It is not ideally well imaged front-to-back, though, and without much bass resonance it appears smooth but lightweight. A little more mid-bass foundation and added warmth might have helped give the music more character. For me, these discs have only the advantage of a reasonable price, but if it's a cost advantage you're looking for in the Brandenburgs I suggest checking out used copies with conductors and groups like Marriner, Leppard, or I Musici on modern instruments; or Pinnock, Hogwood, Savall, Harnoncourt, Leonhardt, Koopman, Goodman, or the Orchestra of the Age of Enlightenment on period instruments. Any of them will provide a rewarding musical experience.